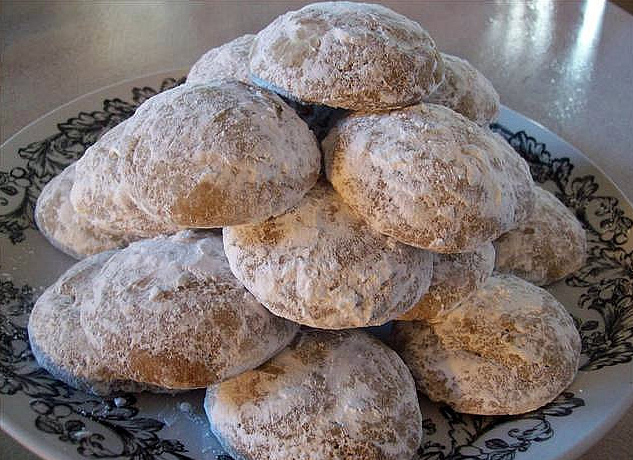 Not the simplest of recipes, this Pecan Sandies recipe uses only cannabutter as a source of fat. This makes achieving the proper consistency a bit of a hassle, especially if you already happen to be medicated. Just keep a watchful red eye on the dough to ensure it isn’t too moist or dry. If your cookies don’t emerge from the oven as planned, just whip up another batch with the appropriate adjustments while enjoying your crumbs. Cream the cannabutter and sugar together in a mixing bowl until smooth. While creaming, add in the vanilla. Sift together the flour and baking powder and gradually add it to your mixing bowl. Add the chopped pecans. Cover the dough and chill for 3-4 hours. Remove the dough from the refrigerator and roll it into golf-sized balls before gently flattening them in your hand and placing them on an ungreased cookie sheet. Bake for about 20 minutes at 325°F or until slightly firm and golden. Remove from the oven and gently placing them on a cooling rack. Combine the sifted powdered sugar and cinnamon and then dust them with the mixture. Allow them to completely cool to avoid crumbling. Enjoy!